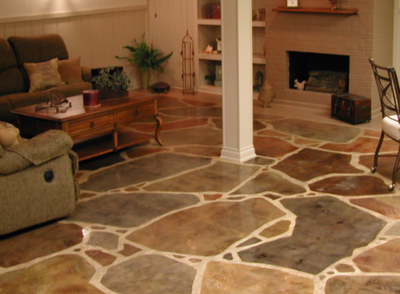 ​Whenever you begin to think about flooring options, you might think about decorative concrete. It would give you something to get excited about. 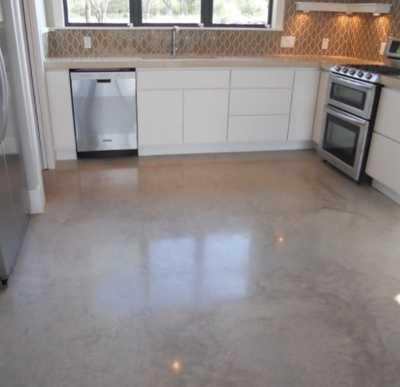 Your options are not limited to carpeting, as there are plenty of decorative concrete options that are available to you. 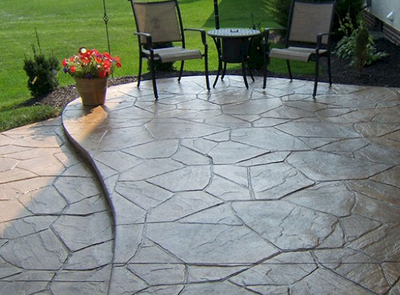 Decorative concrete is another option that is readily available to you. 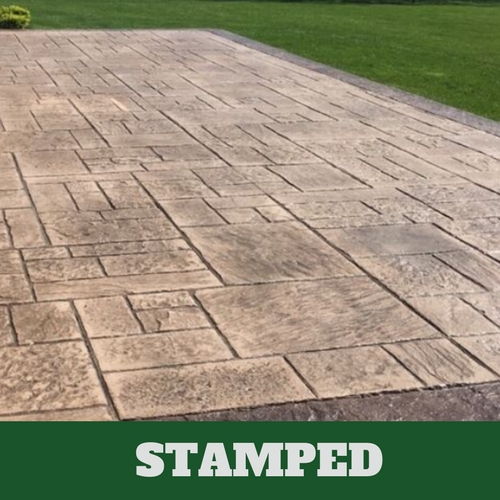 If it is taking you too long to decide what you will have installed, don’t waste another day; contact us at Elkhart Stamped Concrete. Perhaps you have chosen something already and you have been told that you have to wait before the product arrives. Now, not only do you have to wait for the product to arrive but now you also have to wait for them to schedule your installation. 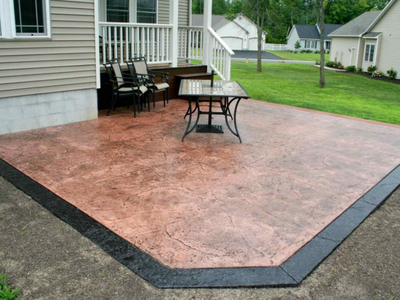 There is no waiting when you contact Elkhart Stamped Concrete, as we will gladly assist you with your service needs as quickly as possible. 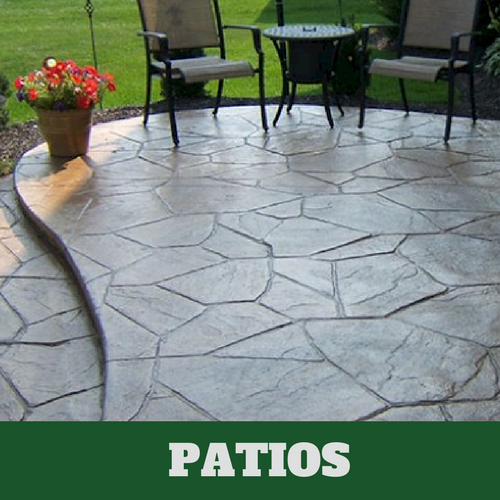 We can have your decorative concretes installed in a short amount of time. 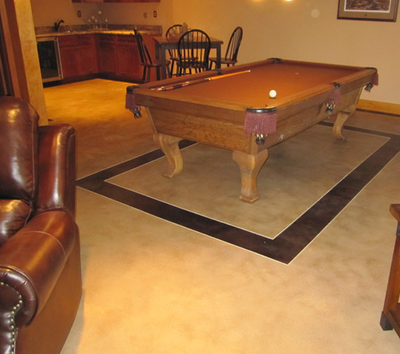 There isn’t anything to worry about when you rely on our talented team for your decorative concrete flooring. They work hard to ensure that the job they are performing is done right on their initial visit. You will be presented with more design options than you will know what to do with. We want to appeal to everyone and that is why we offer so many options. You can choose from brick, granite, stone, or even marble designs. 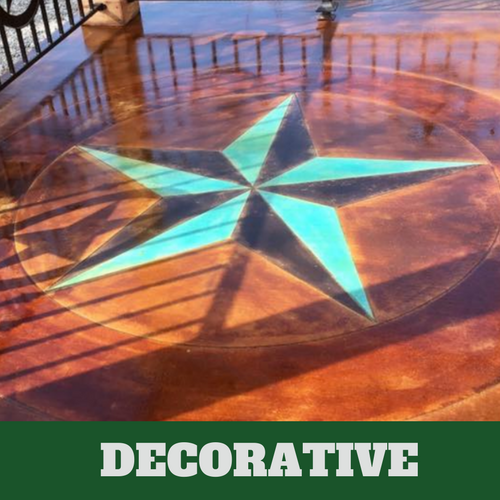 Since the stains that are applied to your decorative concrete floors penetrate the concrete, they tend to be long-lasting. 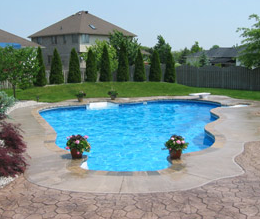 Our contractors can also apply a stain that will further aid in assisting us achieve the appearance that you will like. With newly installed floors, a stain can still be applied to enhance its appearance. 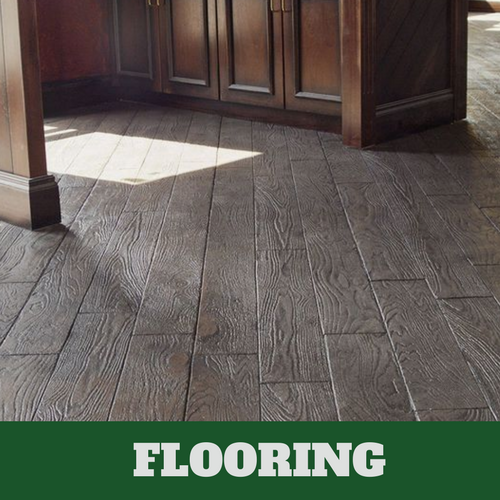 If it is applied to a floor that already exists, it brings out the natural beauty of the floors. 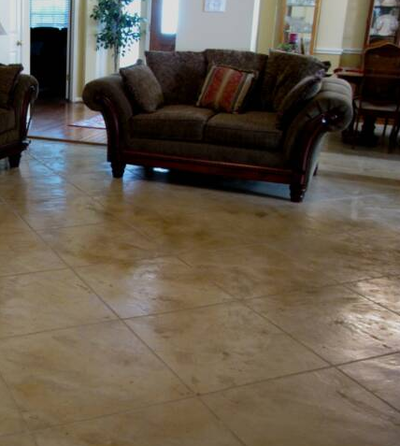 To add additional interest to your already beautiful stamped concrete floors, we’ll stain the floors. When you rely on our team of experts, you will find out that there are far more creative ways to achieve the look that you want than you might imagine. With stains, we can replicate practically any look that you have seen before and we can even create something different and unique that you may have never seen before. 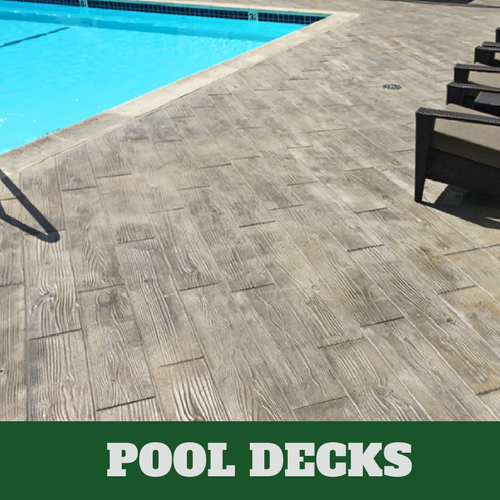 There is no other reason to turn to Elkhart Stamped Concrete other than to achieve the look for your floors that you would like. 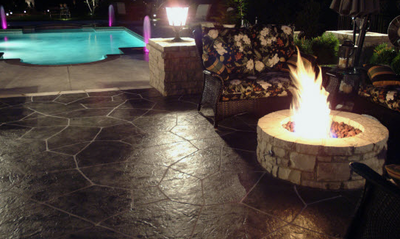 With our hardworking, skilled and talented concrete contractors; we’re capable of doing this for you. 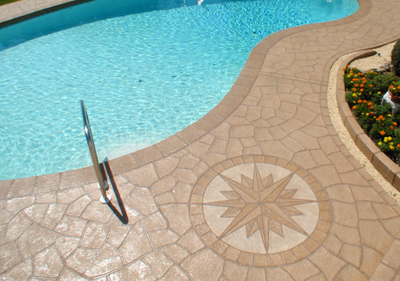 With our decorative concrete, we can give you something that won’t fade, peel or chip. You want the best and you deserve the best; you will find it right here. 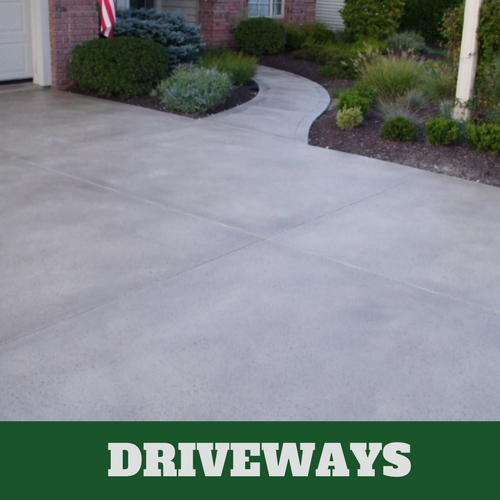 This is why we are the best and most widely used concrete flooring services in Elkhart, IN. Call on us to make sure that the job is done right and when you want guaranteed satisfaction.